100% Renewable Energy And Beyond! 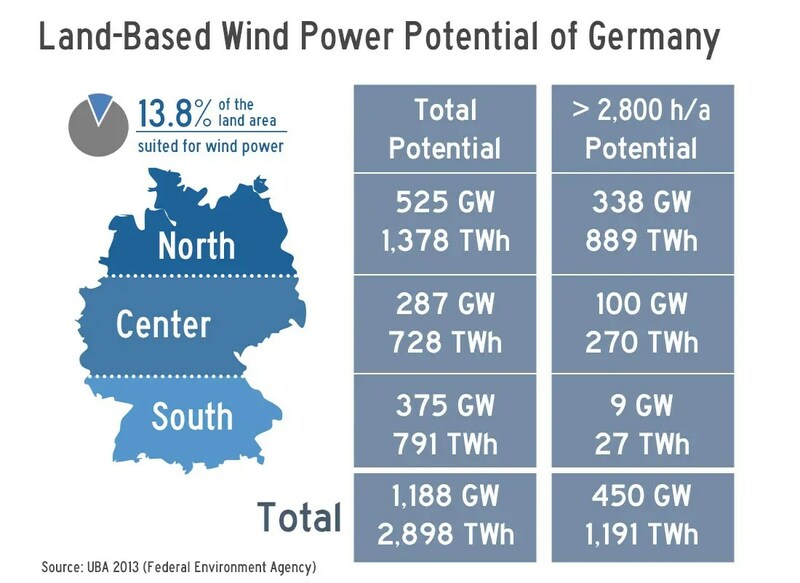 International observers regularly argue that the German Energiewende is mainly a governmental program. The opposite is true: The Energiewende has always been driven foremost by local communities and regions. Thomas Gerke takes a look at the pioneers and shows that complete independence of fossil fuels is not only a remote vision but reality in many German regions today. 100% Renewables is not a remote vision anymore. While many countries still discuss whether or not a 100% renewable energy system – or “just” a 100% renewable electricity supply – is even theoretically possible, Germans seem no longer bothered by such unscientific doubts. To make matters “worse,” some of them (including myself) are even convinced that a transition to a 100% renewable energy system can and should be accomplished within only a few decades’ time. Some people might find this different perception of the problems we face to overcome the energy crisis of the 21st century so puzzling that they would rather choose to believe that the Germans have simply gone mad. Luckily, nothing could be further from the truth, and I’ve got a few nice examples that might explain the German mindset. The German push towards a renewable future is often portrayed through the tunnel vision of the author’s worldview and the common themes of the political debates in her or his home country. Quite often, this kind of quality journalism turns a “minimum price law based on technology costs – in combination with guaranteed market access for all investors”(Feed in Tariff) into “generous, (tax-funded) subsidies”. Another popular myth among so called “professional journalists” is that what is happening in Germany is due to on some kind of “big government” program. Obviously, this domestic narrative-driven reporting is not very interested in looking at important details that could explain the big picture. One of the most important details being missed by most of those common limited observations is the fact that the renewable energy success of the last decade was mainly driven by some pioneering regions, counties, and municipalities. Those local communities moved forward with conviction, while many others have remained dormant willingly or hindered by state governments that blocked investments by passing arbitrary anti-renewable regulations in favor of conventional power companies. Luckily, some state elections and the spread of knowledge about the positive effects of renewable energy deployment for local economies have removed a lot of the brake blocks of the past. So, what can be accomplished within a decade if local initiatives get the opportunity to shape their energy future without obstruction? To showcase what we know about what is at least possible, here are the top 3 out of 295 Landkreise (Counties / administrative districts) in terms of the renewable share in their regional power mix. Most of their success is based on investments during the last 10–15 years based on technology that is now outdated. Those three counties are obviously just the tip of the renewable energyberg. The list of 100–200% renewable counties is longer, and the still rather long list of counties below 10% will get shorter in the coming years. Here’s what we know: The advances of renewable energy technology and the growing understanding among local governments/business leaders creates a very fertile basis for a new wave of rapid renewable energy growth. The newest generation of low-wind optimized wind turbines and the improved wind power–related land-use regulations in many German inland states offer great, previously underestimated potential for the cheapest renewable energy source. 13.8% of the land-area = the provisional technical & environmental potential — actual realizable potential is lower. 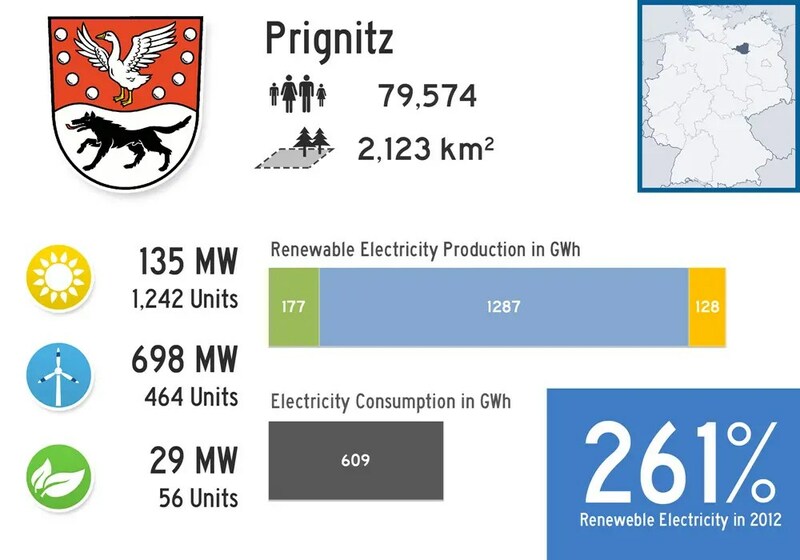 At the same time, the German solar industry and its remaining 80,000–100,000 employees are working tirelessly to emancipate themselves from the cost-covering feed-in tariff by diversifying their portfolio, offering smart energy solutions and building new alliances with other established German industries (storage, energy and micro grid management systems, etc). T hat these further growth potentials will be unlocked is not mere wishful thinking on my part. 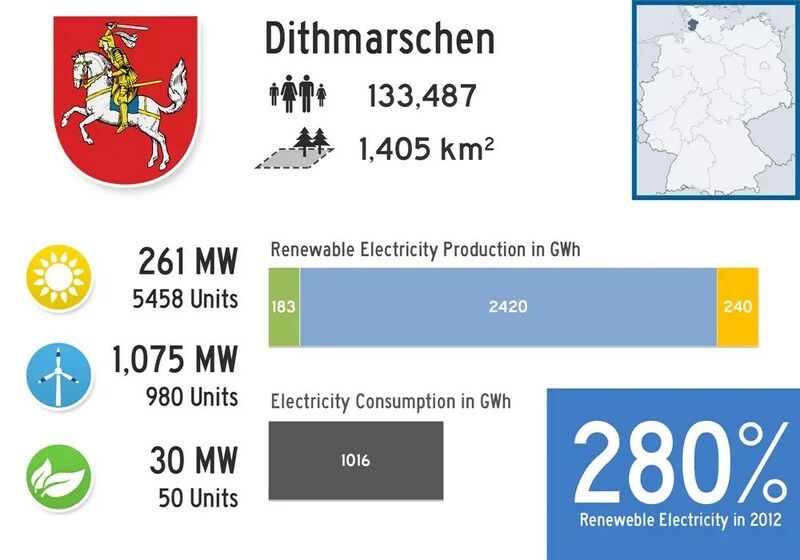 Many regions across Germany have already declared their own 100% renewable electricity and even 100% renewable energy ambitions. They organize, hold conferences, and share their experiences in order to develop their individual road maps. Additionally, more and more regional utilities, and even some of the “former” nuclear and coal giants, have begun to transform their business models from primitive energy providers to modern managers of energy flows. To add yet another piece to the utterly under-reported big picture, I want to encourage you to combine all these individual developments with the knowledge that solar and wind are now cheaper than the electricity rate for households, commercial customers, and in many cases even industrial customers – causing 30% of all German businesses to plan investments in renewable capacities. If you do combine all the puzzle pieces, I am sure that you’ll see that we are only at the beginning of the energy revolution here in Germany, and producing enough renewable energy is definitely not the problem – all those outdated 20th century devices that still consume fossil fuels are! Thomas Gerke operates the Energy Rebellion Facebook page and regularly writes for CleanTechnica, where this post was first published. Yes, 100% and beyond Renewable Energy is not only a wishful thinking, but it is 100% possible and achievable practice by those 100% responsible CITIZENS and GOVERMENT whose practical engagement is based on pure KNOWLEDGE!!! Completely agree with you about the simplistic reporting on the German Energiewende by foreign media. For example here in the UK, even the BBC seem to focus on short-term ‘negative’ aspects such as the apparent increase in coal use resulting from nuclear plant closures and added cost to energy bills. My eyes were opened a few years ago when I came across the work of Hermann Scheer and found out that the Germany renewable energy ‘revolution’ had inf fact been a very long time in the making and it’s success, despite push-back from vested interests, was due to it’s bottom-up nature. I’m interested in the question of 100% renewables for all energy needs and wonder what German renewable experts think of David MacKay’s influential book “Sustainable Energy – without the hot air” (Dr. MacKay is Scientific Advisor to the UK government’s Department of Energy and Climate Change). In the book MacKay argues that a 100% renewables solution is not possible and implies that we, like it or not, will always need nuclear power. This is convenient conclusion for the politicians, but how is his work rated in Germany? German community based Renewable Energy is providing a very bright ray of hope in Europe to show how we can all provide our energy needs in a safe and economic way. The pro nuclear/fracking power crazy loonies in Britain are desperately trying to retain the old polluting centralised energy systems in their delusional state that power needs to stay controlled by the few, rewarding greedy shareholders to the cost of the many. Community Energy schemes are the best way ahead for Britain, we need the momentum to grow so that nuclear and tracking become irrelevant.